You can always tell the difference between someone who knows what they're doing and someone pretending to know. For someone who is new to the job-hunting game, it can be a challenge to pull off years of refined professionalism flawlessly. These tell-tale signs are especially obvious to a hiring manager in a resume where there are clear distinctions between good/bad and right/wrong. Take a look at the common mistakes that many rookies makes that give them away as amateurs, or at least make them look that way. Including irrelevant job experiences is simply wrong and looks bad. Even if you don't have much work experience in general, listing the ones you have that don't apply to the one you're applying for isn't going to help you any. Look at what they're asking for in a candidate and think about skills and experiences you have acquired, whether through a job or not, and highlight those instead. This doesn't include seasonal jobs, those you go into knowing they will be temporary. The problem with jobs that you left on your own accord or were terminated from don't reflect on you as a desirable candidate. You'll have to expect that they are going to want further information about your past employment and if there might be anything you wouldn't want them to know, better to leave it out completely. A part of being able to put good work experience on your resume is being able to have good references from those places as well. You don't, however, have ot list these references on your resume. This part of the hiring process should already be expected. Naturally, if a potential employer requests references you would give it to them. Your job title pretty much already sums up what was expected of you but says nothing about what you actually did. That's the information that the hiring manager cares about since that's what will differentiate you from another candidate who may have held the same position. They don't want to see a list of job descriptions on your resume, they want to see accomplishments and specific details. 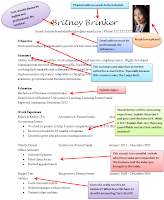 Keep in mind that your resume should ideally be one page so you'll want to keep your descriptions brief. Stick to bullet points and avoid explaining why you left a job. They only want to see the "who, what, when, and where" of your past experiences. If they're interested in finding out the "why," they'll give you a call back. Adding a personal touch of who you are by mentioning your hobbies or interests can be good as long as they are somewhat relevant to the job. Otherwise, this approach could backfire on you. The hiring manager could start making assumptions about you. When in doubt, leave it off. 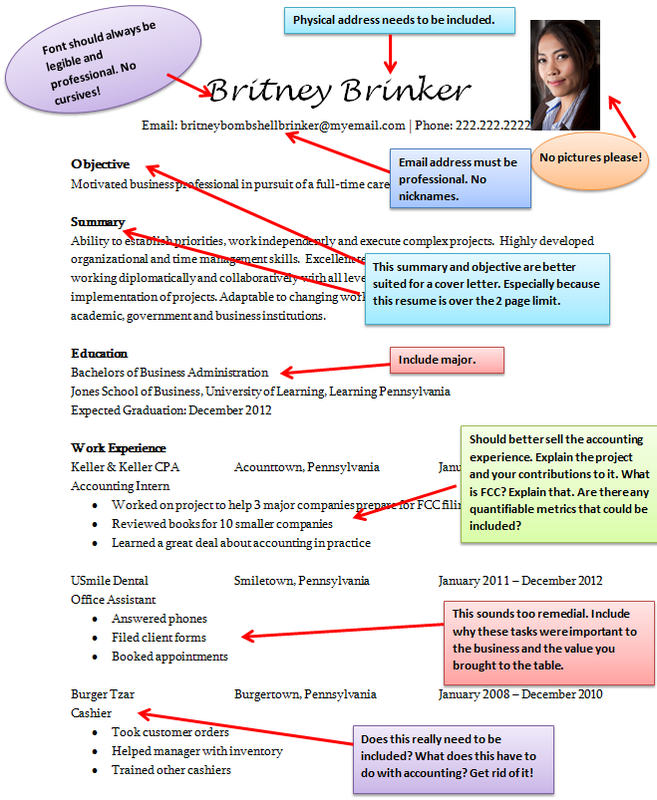 Again, your resume shouldn't be your life story, rather a brief introduction to who you are. Imagine that you're speed dating with each company, what would you want them to know about you in the few moments you have of their attention?